Monster Database > Baphomet Jr.
A cub of Baphomet, which is curious about new things. Although it's small and cute, its combat power is good. 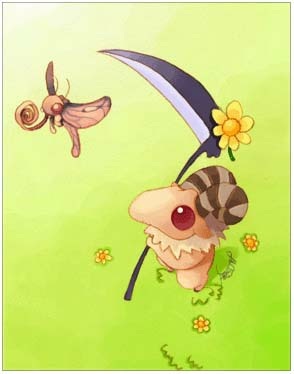 If it's provoked, it will wield the reaper scythe to wipe out the enemy. Even if it can't beat the enemy, Baphomet is behind it.